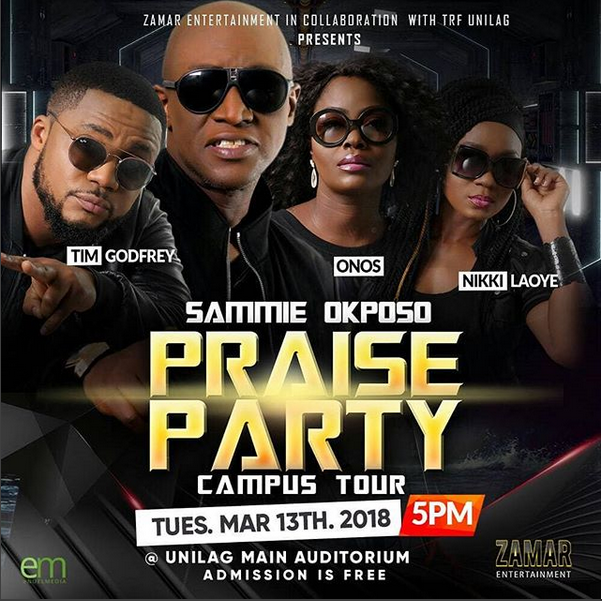 Popular Gospel artiste Sammie Okposo has announced his forthcoming campus tour themed The Sammie Okposo Praise Party Campus Tour. Other phenomenal gospel musicians will be ministering. Musicians such as: Tim Godfrey, Nikki Laoye and Onos Ariyo.